Un-homely or stark living environments. 807 News: A daughter has released shocking secretly-filmed footage of her 95-year-old mum being abused by two carers. In September 2017 a daughter has released shocking secretly-filmed footage of her 95-year-old mum being abused by two carers. Lynne Nuttall installed a hidden camera in her mum Marjorie’s room after becoming concerned about the treatment she was receiving at Macclesfield-based Prestbury House Care Home. She has now released the harrowing footage after her mum’s abusers Piotre Ciecielowski, 26, and Pedro Dias, 21, were spared jail. The footage, shows Ciecielowski and Dias verbally abusing their victim, who also has dementia, as they get her ready for bed. The pair admitted ill-treatment while working as carers and were sentenced to nine months in prison, suspended for two years, and ordered to complete 250 hours unpaid work. After the sentencing hearing, the victim’s daughter, Lynne Nuttall, said she had installed a covert camera in her mother’ Marjorie’s room when she became concerned about unexplained injuries. She said: ‘I was worried mum wasn’t getting the right care. She had bruises on her wrists and I didn’t feel my concerns were being listened to. Six care workers at the Winterbourne View care home were given prison terms for “cruel, callous and degrading” abuse of disabled patients. The judge at Bristol crown court also condemned five other staff members at the private home in Hambrook, South Gloucestershire, who received suspended sentences. Judge Neil Ford told the defendants their behaviour triggered “widespread feelings of revulsion”. The 11 defendants – nine support workers and two nurses – admitted 38 charges of either neglect or ill-treatment of five people with severe learning difficulties after being secretly recorded by a reporter for the BBC’s Panorama programme. The report (link below) is the product of NHS England asking Sir Stephen Bubb, chief executive of charity leaders body ACEVO, to make recommendations for a national commissioning framework under which local commissioners would secure community-based support for people with learning disabilities and/or autism. This came after a pledge made in the wake the Winterbourne View scandal – to enable people with learning disabilities and/or autism inappropriately placed in hospital to move to community based support by June 2014 – was missed. In 2017, the multi-agency Large Scale Enquiry concluded having substantiated the allegation of “organisational abuse”. Councillor Derrick said investigations were continuing into incidents at Seeley’s House when it was run by Bucks Care. “This only came to light through whistleblowers going to the Care Quality Commission and through the Labour Party asking for papers under the Freedom of Information Act,” she said. She said: “It is now clear that Seeley’s House has only been operating at two thirds capacity for the last six months.“Vulnerable adults are not getting the respite they are legally entitled to and their carers are getting no rest. On top of this, BCC has had to cover nearly £3 million of debt run up by Bucks Care, so far,” he added. A spokesman for Buckinghamshire County Council said: “The council took decisive action after last November’s CQC inspection, taking the operation of Seeley’s and Bucks Care back in-house. “Since then, we’ve been working hard to deliver our improvement plan and, this week, have published the Large Scale Enquiry Report on our website. 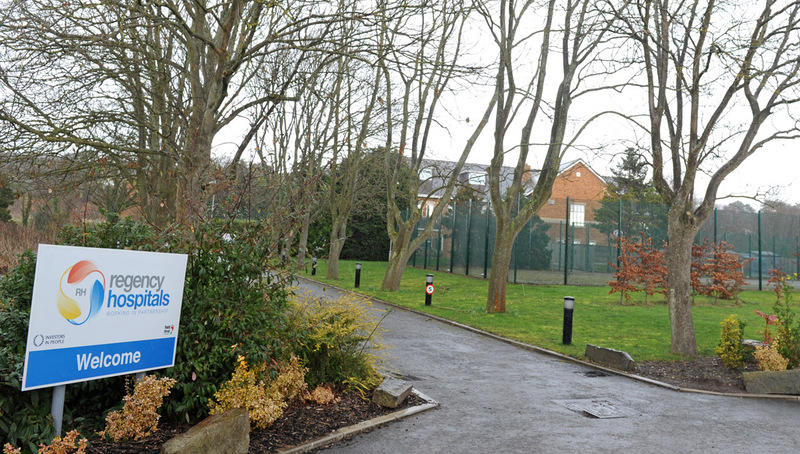 A WIRRAL hospital which looked after people with mental health problems failed to meet expected levels of care was forced to send its patients elsewhere before being closed down. Previously Watchdog the Care Quality Commission had issued two formal warnings to the Regency Hospital in Broad Lane after an inspection found it was failing to meet seven out of eight national standards. Malcolm Bower-Brown, CQC’s regional director, said: “Our inspection of Regency Hospital Heswall was extremely concerning and we have warned the provider improvements must be made. Action has been taken to “protect the safety and welfare of the patients” at the privately-run hospital – which provides care and rehabilitation for people sectioned under the Mental Health Act – and all have now left the facility. When the commission visited the multi-million pound unit in November 2013, inspectors found one ward did not meet the required standards to safely accommodate patients who require a low security environment. Staff records showed many had not received adequate training and support and did not have the necessary skills to care for patients. Low staffing levels also led to some patients being unable to take their “section 17” leave granted under the Mental Health Act. The hospital, on the site of former Heswall Boys’ Camp, sparked concern among residents in 2007 when development first began, with many claiming they had not been informed of its true use. Graham Hodkinson, Wirral’s director of adult social care, said: “We do not commission placements from Regency Hospital or have any placements there. “However, safeguarding concerns in relation to individuals at the hospital were reported through our central advice and duty team, which were followed up with the appropriate authorities.